Connecting the data you need, where you need it. 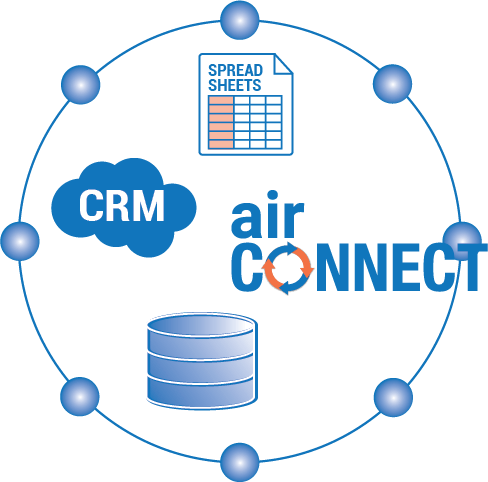 CopperHill AIR Connect – CopperHill’s own middleware tool – harnesses the power of the Amazon Web Services platform to provide a cost-effective tool that allows you to accelerate your business, leveraging an integration platform that has the agility to fit within any growing business. Integrating systems using our middleware tool can help you make more strategic decisions, know more about your customers, and grow those existing customer accounts. Integration doesn’t need to be a multi-vendor approach. If you have data integration needs, we can handle every aspect of the process. From the middleware to the services surrounding the best ways to migrate, cleanse and combine your data, we have solutions to fit your needs. Contact us or learn more about the CopperHill AIR platform!